A champion equestrian rider, world traveler and proven marketer, Taylor Cousins understands what it takes to achieve the extraordinary. As a full-service agent, she brings passion, integrity and local expertise to every detail of your real estate transaction. "Personal relationships are the foundation of all that I do," says Taylor. "I strive to meet and exceed the needs of my clients by identifying what aligns most with their values, goals, and lifestyle. Once that is identified, the process becomes fun because there are unique personalities behind it." Specializing in the Park Cities, Uptown, Lakewood and Preston Hollow, Taylor helps clients see the potential in a space or suggests simple updates to attract buyers in today's competitive marketplace. Her keen eye for design, staging and innovative marketing stems from a lifelong love of house hunting and helping people. Taylor grew up in Hinsdale, Illinois touring open houses with her father on Sundays and placing bets on what the list and sale price would be. In boarding school, students were asked to select an internship for summer break - Taylor chose real estate, and landed a position working under one of the most prominent luxury realtors in the area, further fueling her desire to one day become a licensed agent. Today, she takes a hands-on approach to buying and selling homes that delivers 24-7 concierge style service, unmatched local knowledge and world-class marketing resources to ensure a seamless client experience. "I research the comps and work hard to come up with new ways to market homes. With deep-rooted local knowledge, creativity and connections, I focus on the client and achieving the results they deserve." This includes custom tailored marketing plans, out-of-the-box solutions, and a level of fun and excitement that keeps all parties informed and engaged. 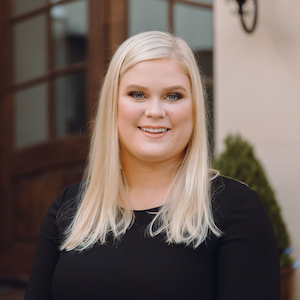 A graduate of both The Ethel Walker School and the University of Arizona, Taylor is a consummate professional who brings a tireless work ethic and enthusiasm to her role at Compass - the leader in Dallas luxury real estate. Outside the office, Taylor competes nationwide with her horse, Placido, whom she boards at Elmstead Farm in Parker, Texas. She is an active member of Highland Park United Methodist Church and enjoys giving back by raising money for St. Jude. She can often be found outdoors, walking her two Golden Retriever rescues and Cavalier King Charles Spaniel on the Katy Trail. If you are looking for an expert who goes the extra mile to market your property on the world stage, while locating homes in communities that perfectly suit your lifestyle, give Taylor a call. She is ready to put her skills to work for you.